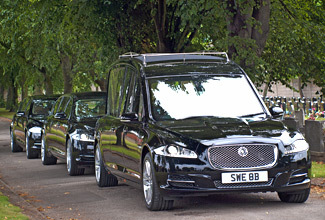 Webb’s have always prided themselves on having the finest fleets of vehicles available, from the very first Victorian Horse Drawn Hearses and Mourners carriages in the 1890’s, through to todays modern new fleet of Jaguar XJ’s which are among the finest funeral vehicles in the country. 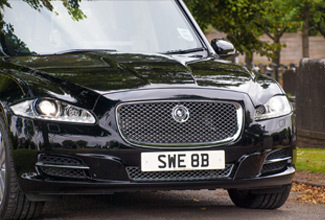 All of our vehicles are built to our own specifications and are replaced on a three year cycle, thus affording the highest level of reliability, along with luxury. 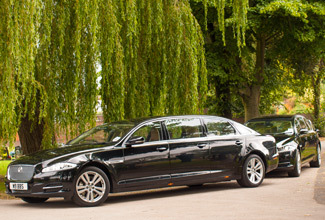 All of our limousines are air conditioned for your comfort and our fully trained chauffeurs will ensure your safety throughout the journey. 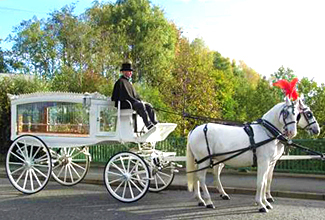 We have at our disposal a wide range of Horse Drawn Hearses and Mourners carriages in various different colours which can be drawn by teams of two, four or six black or white horses. "Thank you for all the help and support you gacve us during our sad time. 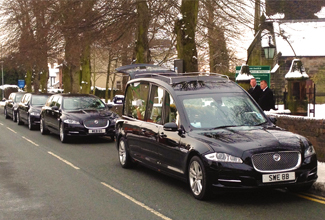 On the loss of the late Irene Roberts and a big thank you for helping us give Irene a lovely send off." "We would like to thank all of the staff at webbs for their loving care and their support of our family and friends in our sad times." 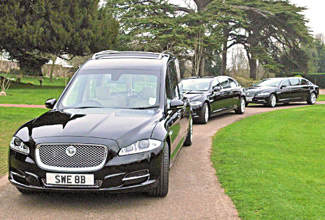 "just a quck note to say thankyou so much for the professional and sympathetic manor which you carried out your services at my mothers funeral. Special thanks to Kay for her organising and Sandy for the way he looked after us on the day."